We manage all the skills needed to progress property-related projects on your behalf. In this way we reduce your involvement to one of client authorisation. Our project coordination and management role is different for each client as we respond to the specific needs of the situation. The key is to be pivotal in the management of property-related projects. As with commercial property acquisition, an integral part of our role is in the management of the other consultants necessary for delivering a successful project. This can include architects, quantity surveyors, highway and services engineers, planning consultants, property agents and lawyers. We understand how they operate and the technical language they use and we are familiar with their areas of work. As always at Edward Preece & Co, we pride ourselves on our honesty and integrity and in all of the interactions we will always have your best interests at heart. 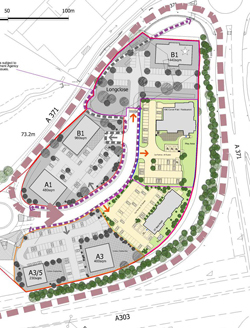 Edward Preece & Co oversaw the development of a 10 acre business park in Dorset and a seven acre roadside leisure and retail park in Somerset on behalf of Hopkins Developments Ltd, a Somerset based investment, development and aggregates business. On an ongoing basis, Edward Preece & Co manages acquisitions work for new operational and investment opportunities. The company has a wide ranging property portfolio across Dorset, Somerset and Wiltshire, in which we are directly involved.